Assigning your team members to Teams allows faster internal sharing and makes it easier to control who in your account has access to which Qwilr Pages. Note: Team membership is an admin only feature. Step 1. 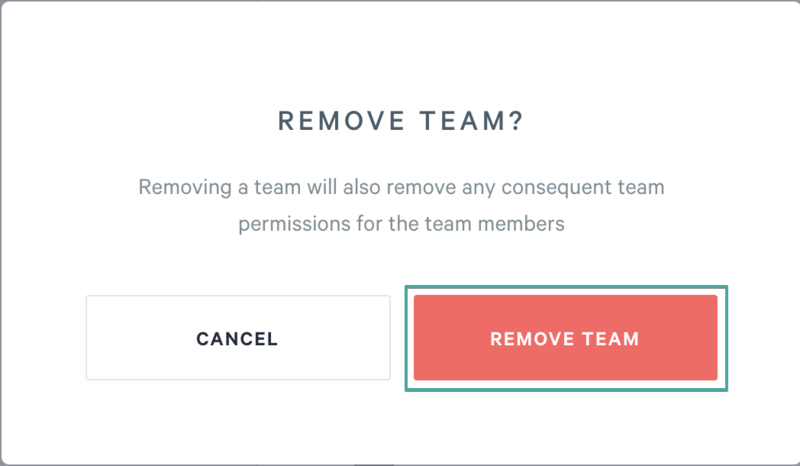 Head to your account Settings → Manage Team. Step 2. Click Create team. Step 3. Name your team. 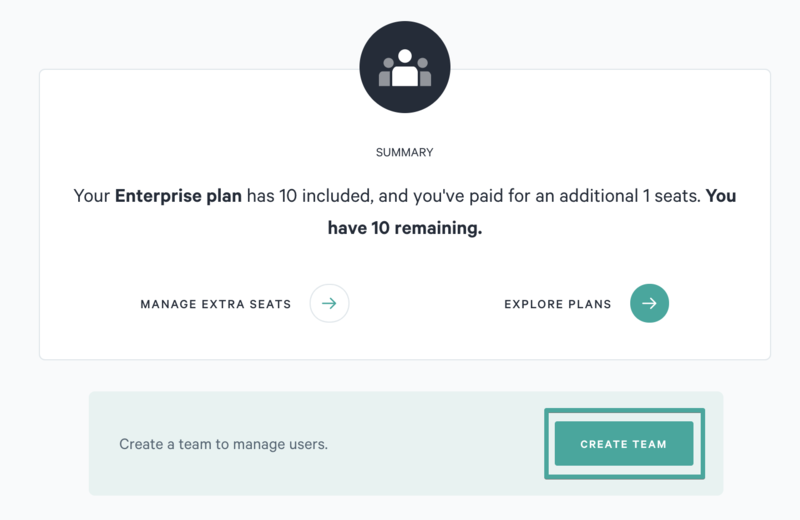 Once you've created a team, it's time to start adding users to it. You will be able to invite both new users and users that have already been added to your account. Note: One team member can be a member of multiple teams and can only have either Admin or Creator permissions. There are 2 ways to assign a team member to one (or more) of your teams. 1. Start typing your team member's name in the In the invite to this team field. Once you see it pop up, click on it to add them to that team. 2. On the same page, scroll down to the list of Everyone on the account. Select a team member (you can select several at a time) you'd like to add. You will see a bar pop up at the bottom of the page. Hit Add to a team. Select the team you'd like them to be added to and then click 'Let's do this!'. 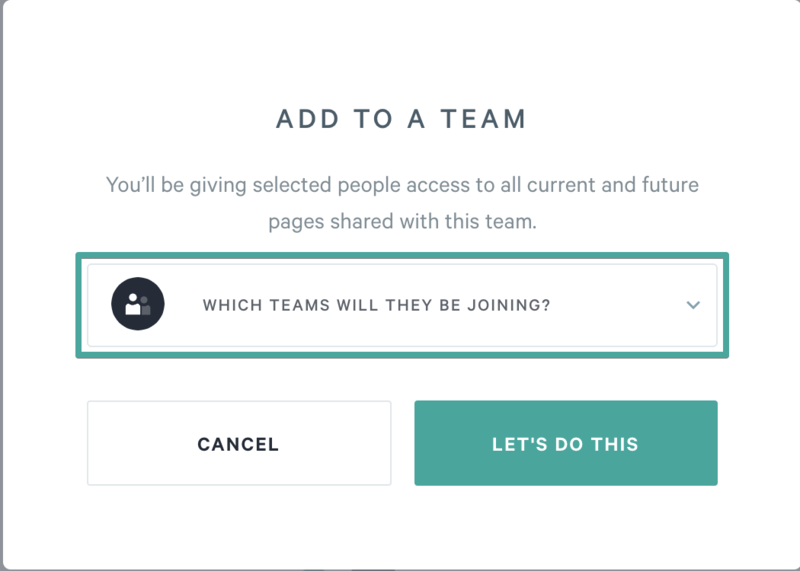 In the Invite to this team field, type in your team member's email address, choose the role for them and hit invite. Once they accepted an invite they will only have access to that team. You can also invite them from the Everyone on the account area and once they've accepted the invite, add them to a team. Select the user(s) you'd like to be removed from a certain team. Once selected, you will see a bar pop up at the bottom of the page. Hit Remove from team and then confirm. You will now be able to share a project with the whole team at once. To do this, click on the people icon in your editor window or on the currently shared with names from your dashboard. From the window that pops up, select the team you'd like to share your Qwilr Page with and the access you'd like them to have. Then hit Update. 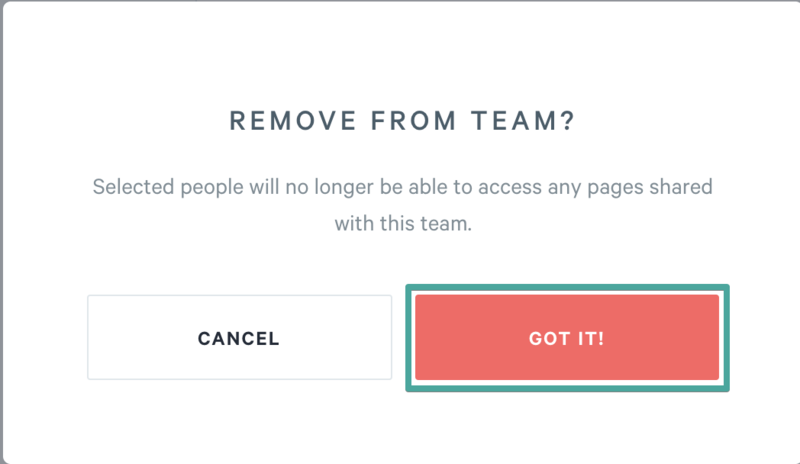 To delete a specific team, click on three little dots in the right upper corner of the team and hit Remove team. Note: Team members will still have access to the files they've created.